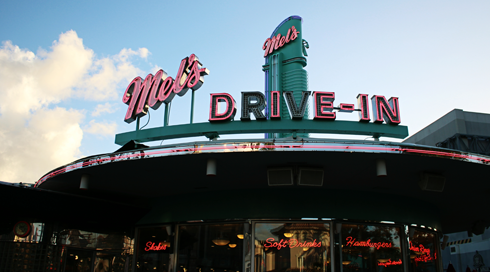 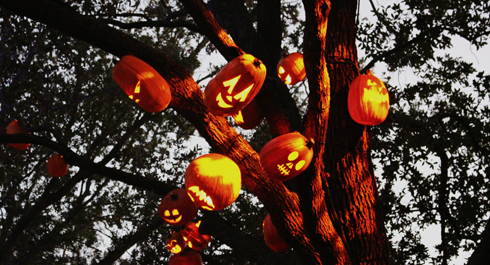 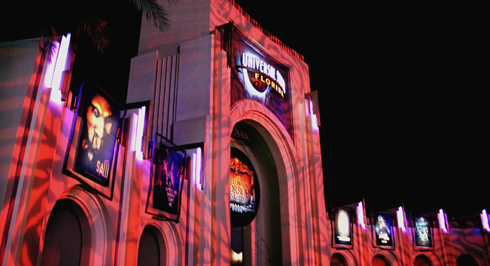 Complete with movie themed haunted houses, scare zones, and live entertainment, Halloween Horror Nights is an annual event that takes place each fall at Universal Orlando (and other Universal Studios Parks around the world). 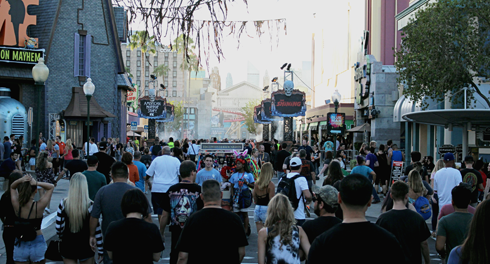 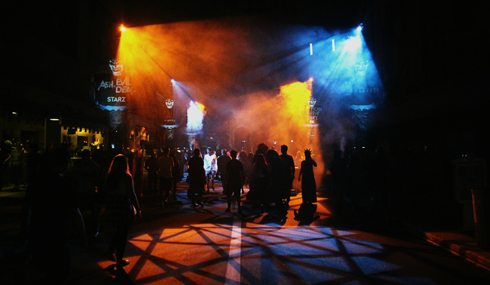 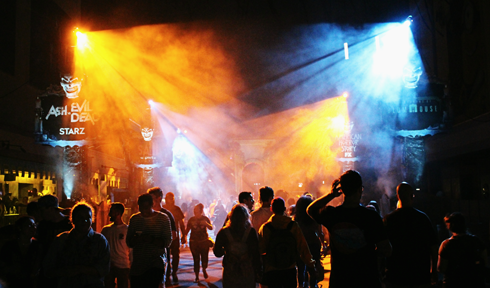 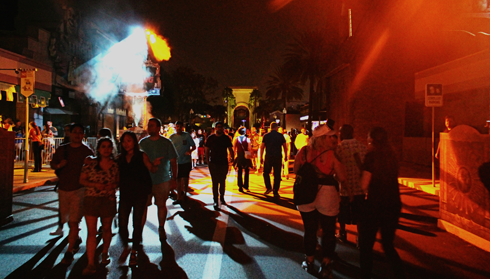 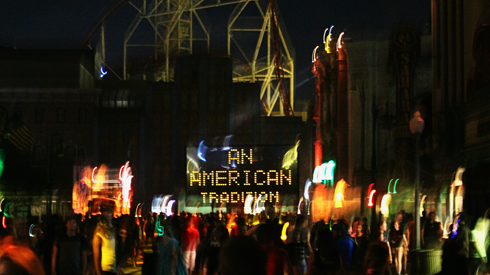 Halloween Horror Nights sees the park transformed in the evening with lighting, fog, set pieces, and a variety of characters in costume that interact with the guests. 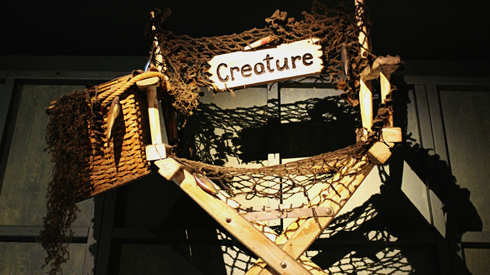 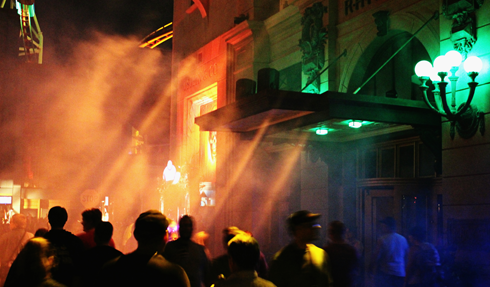 The screams and reactions are worth the price of admission alone. 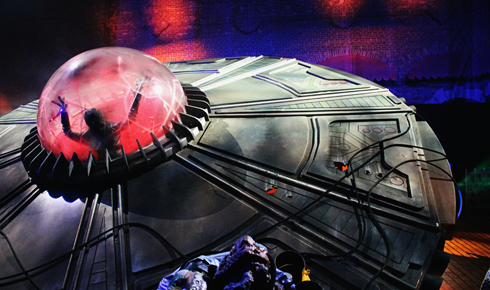 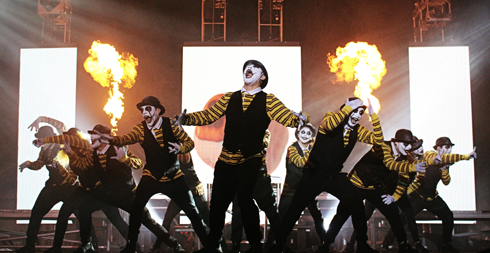 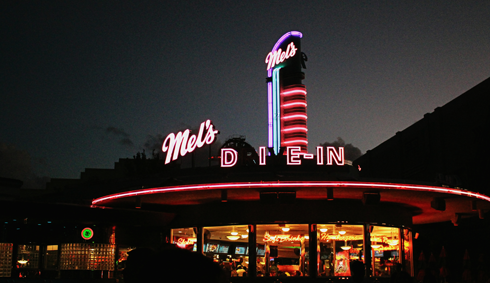 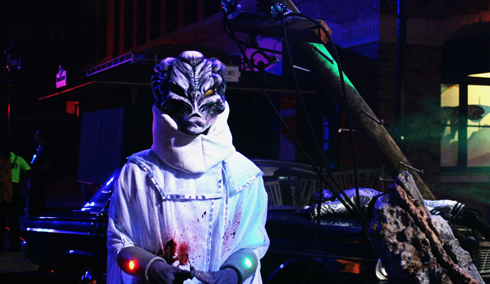 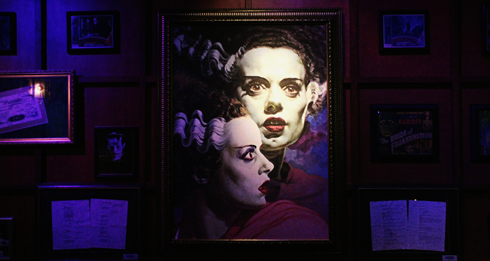 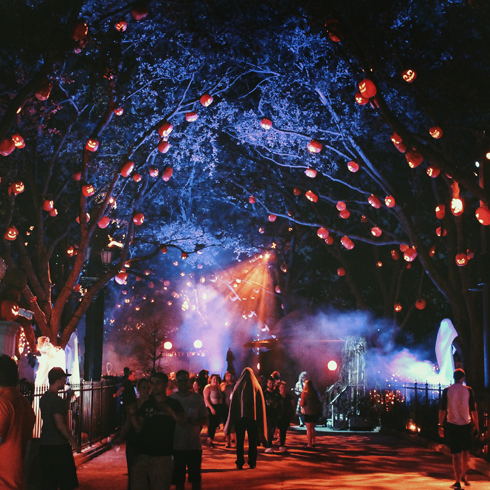 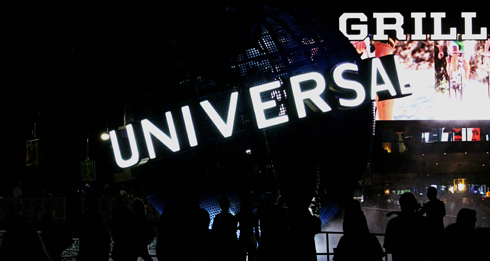 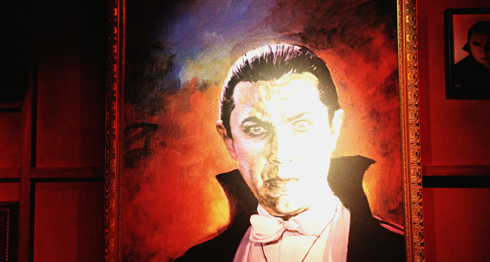 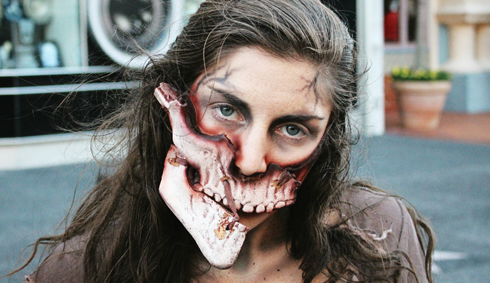 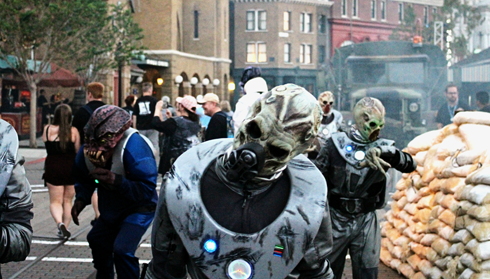 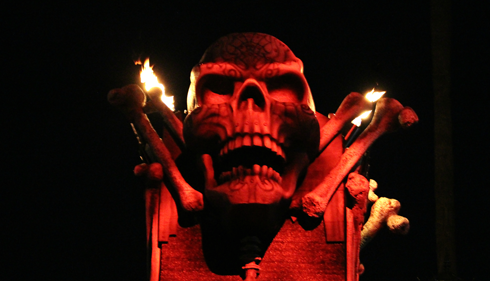 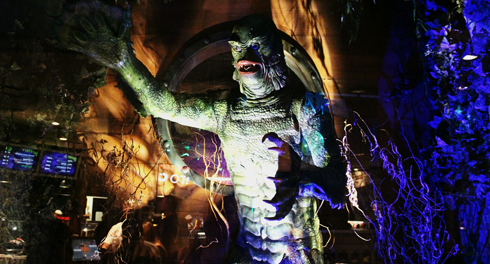 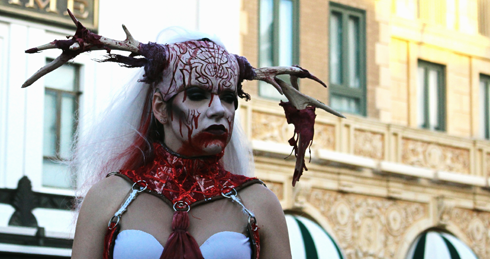 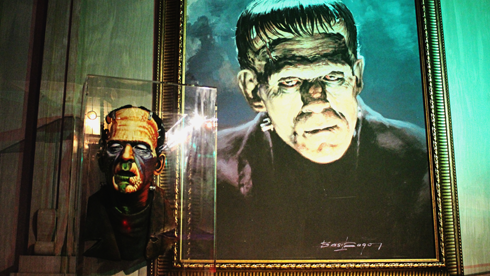 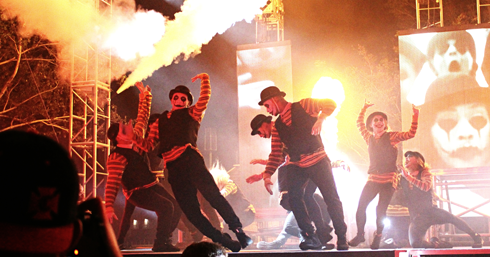 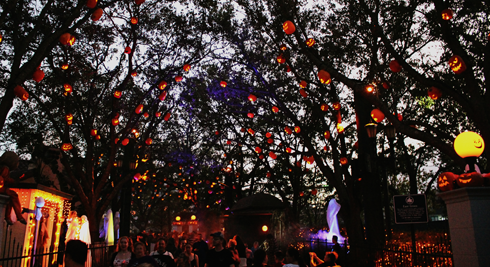 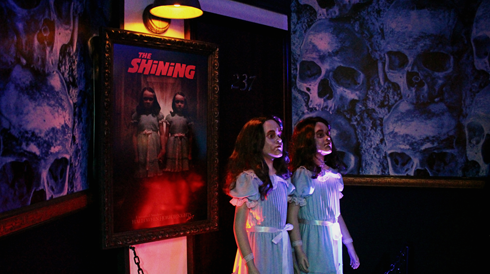 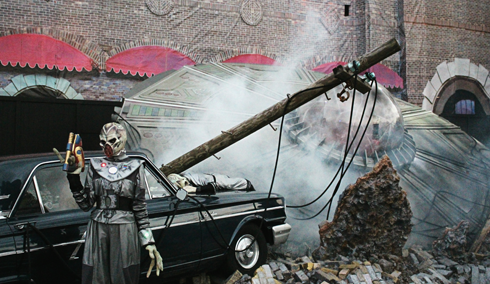 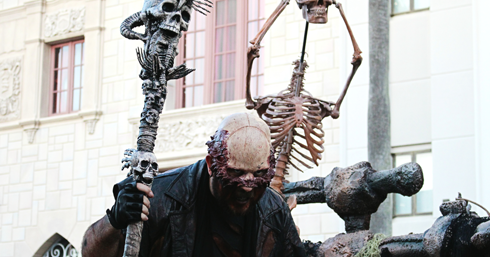 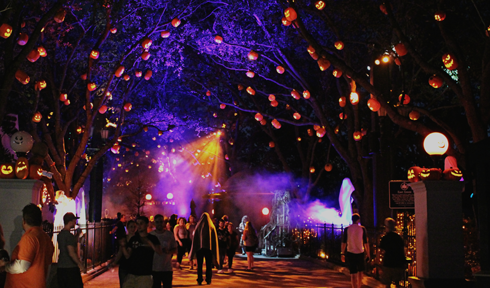 These visual highlights are from Universal's Halloween Horror Nights 27 in Orlando.